Spearheaded by Hadassah International-Israel, a new project on both campuses of the Hadassah Medical Center offers grateful patients a way to say thank to the medical team that helped care for them. 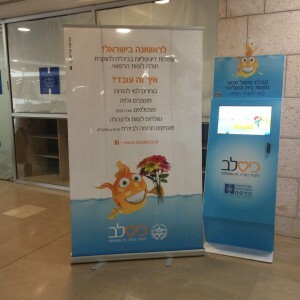 The digital device–to be found at various spots around Hadassah-Ein Kerem and Hadassah-Mount Scopus–allows an individual to design a postcard to thank a specific medical team, as well as make a donation to the hospital. Patients can even insert a picture of themselves onto the postcard. 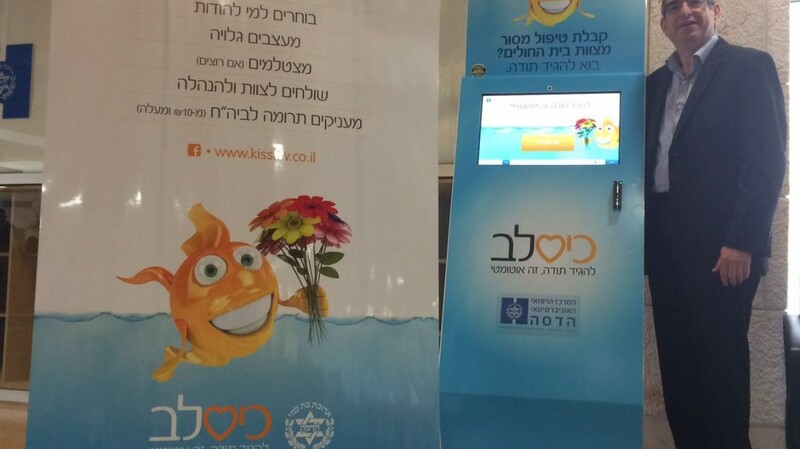 These automatic fundraising stations called “Kees Lev” (pocket heart) have touch screens that help patients navigate their way to creating their postcard and making a financial contribution with their credit card. 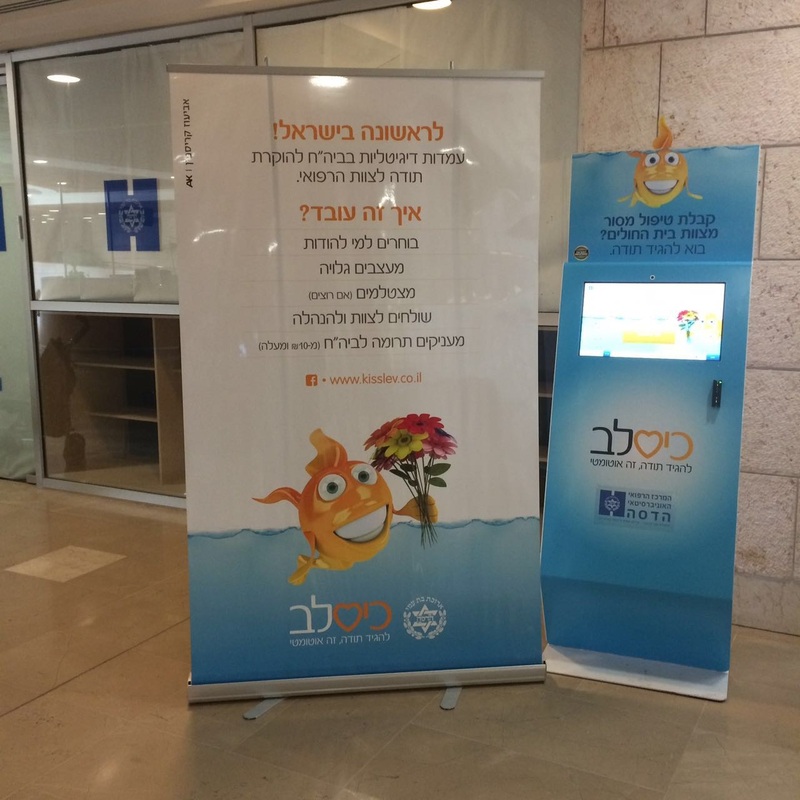 “Hadassah is the first medical center in Israel to have the “Say Thank-You” system, reports Meir Mark, Director of Hadassah International-Israel, who initiated the project at Hadassah and assisted with its implementation.